Fall in Canada is about the land. That is especially so in the interior of British Columbia, where harvest season provides a bounty of food, wine, and cultural experiences that centre on nature and our environment. Not surprisingly, the Indigenous communities of the region provide outstanding ways to enjoy autumn while also helping their guests understand more about what makes the British Columbia landscape such a marvel. Having visited a few of the Indigenous communities in the area, I have experienced the distinctiveness of the season through the eyes of people who view the equinox from both a spiritual and a pragmatic sense. Traditionally, fall for Indigenous people has meant a feverish series of activities to corral and store food for winter. 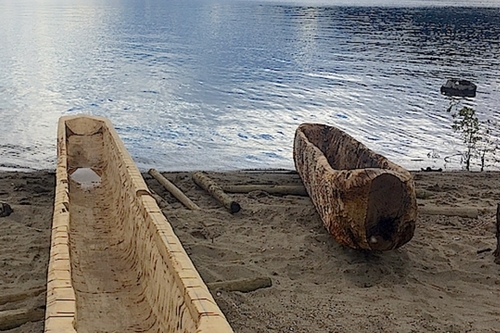 In contemporary times, it has also become an opportunity to showcase the culture of people who have lived and thrived in the Pacific Northwest for millennia. 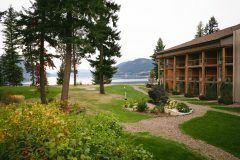 From teepee dinners to hikes into forests riven with centuries-old trees to winery visits on Aboriginal land soaked with knowledge and memories, the interior of BC is rich with activities that will enable you to explore the harvest season with a perspective that may be new to you. trees and the 18-square- kilometre lake is dramatic. Calm one moment, the conditions can shift to a rustle with wind zipping through leaves, coercing birds to scurry off and nature photographers to launch their shutters into high gear. 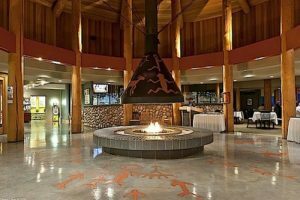 A luxury lodge with a fine-dining restaurant and spa, Quaaout has amenities that will make your visit relaxing while its surroundings and cultural activities will allow you to further appreciate the province and its terrain. 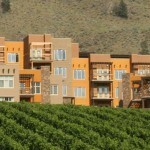 The darling of Osoyoos, Spirit Ridge has brought much notoriety and luxury to the southern Okanagan Valley since its inception earlier this decade. If you’ve never had the chance to visit Spirit Ridge, you should make an effort this fall. 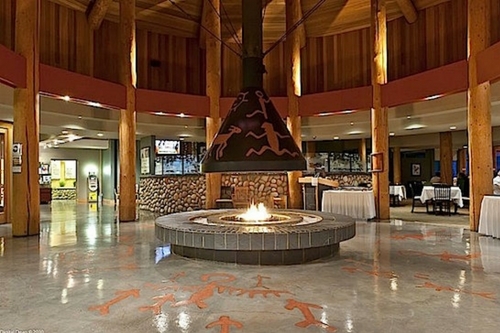 The resort — whose 226 rooms are spacious apartments with fireplaces, full kitchens, and wide-open views of Lake Osoyoos — is bringing more delights to the season with added attractions, including a winemakers’ dinner and cultural tours at its on-site museum, the NK’Mip Desert Cultural Centre. In a region famed for its wineries and wine tours, NK’Mip Cellars offers guests a chance to get to know how grape growing can affect an Indigenous community. 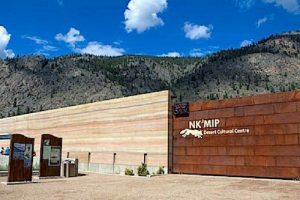 On territory owned by the Osoyoos Indian Band, NK’Mip is producing fantastic reds and whites that are winning awards and bringing prosperity to the First Nation as well. 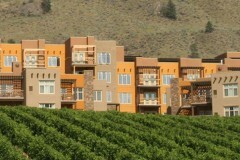 The winery’s tasting room is adjacent to Spirit Ridge’s main lobby and its flagship restaurant, Mica. A pre-dinner tasting is both convenient and apropos for autumn. Comfort food and fall. They are an ideal match no matter where you are in Canada. 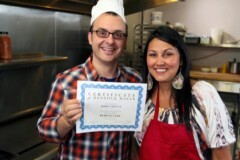 And bannock is about as quintessential a comfort food as you will find. The flatbread that is a staple of Indigenous diets is made with traditional recipes that include a batter of flour, milk or water, and baking powder. 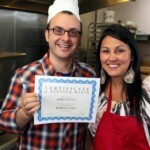 After frying in oil, bannock is most often served with jam made from local berries. At Kekuli Cafe, though, bannock gets the heavenly treatment and goes from a mostly plain way to satiate hunger to a delightful collection of flavours. All kinds of sweet and savoury concoctions have been developed at Kekuli and you’ll have to drop in to see how many you can taste. 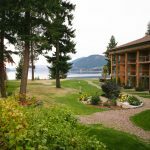 The cafe has locations in Westbank and Merritt, and either one is a worthwhile pit stop during your fall road trip through beautiful British Columbia.